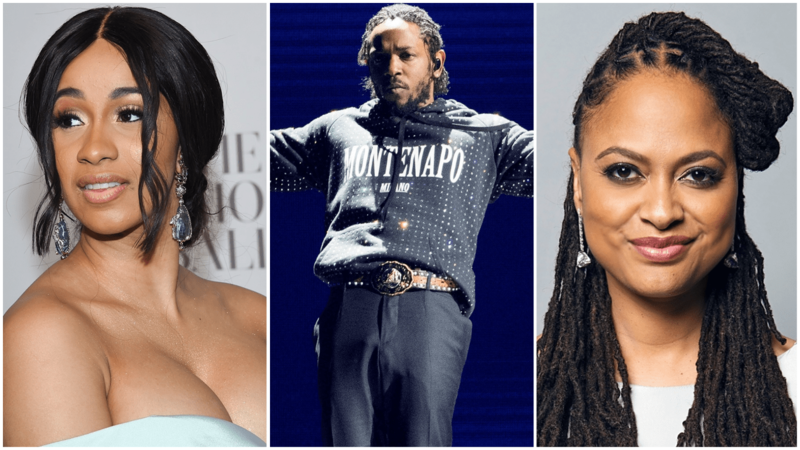 The 2018 BET Awards were held last night and Cardi B, Kendrick Lamar and Ava DuVernay came away winners in Female Hip Hop Artist, Album of the Year (“DAMN.”) and Video Director of the Year, respectively. Cardi B also won the Coca Cola Viewers’ Choice Award for “Bodak Yellow,” besting Drake (who won Video of the Year for “God’s Plan”) and Kendrick Lamar (for “HUMBLE”). DJ Khaled led with six nominations but managed just one win – Best Collaboration for “Wild Thoughts” featuring Rihanna and Bryson Tiller. Kendrick Lamar followed closely with five and Migos with four (they won the Best Group Award). Black Panther took Best Movie and Best Actor (for Chadwick Boseman, sharing with his other film Marshall) and Best Actress went to Tiffany Haddish (Girls Trip). Here is the full list of nominees and winners (in bold).